Microsoft last year announced that there will be a successor to Office 2016, the non-subscription version of the application suite, and that the upgrade would ship in about a year. But other than that description, Microsoft has been vague about the prospect of Office 2019 with a "perpetual" license, one that lets the customer run the suite as long as desired without further payments. So, we collected some of the pressing questions business may have about the suite. What is a 'perpetual' Office? The company pegged the launch of the suite during the second half of the year. "This release, scheduled for the second half of 2018, will include perpetual versions of the Office apps ... and servers," wrote Jared Spataro, general manager for Office, in a September post to a company blog. Spataro called out "Office 2019" at the time as the nameplate for the application collection. Microsoft's not saying. One-time purchases of the current office range from Office Professional Plus 2016 (Windows) and Office Standard 2016 for Mac (macOS), the enterprise-grade SKUs available only via volume licensing, to retail packages such as Office Professional 2016 (Windows) and Office Home and Business 2016 for Mac (macOS). In 2017, Microsoft slashed the rights of users running non-subscription Office when it announced that perpetual-licensed versions of Office 2016 will be barred from connecting to Microsoft's cloud-based services, including hosted email (Exchange) and online storage (OneDrive for Business) after Oct. 13, 2020. Rather than the usual decade of support – the first five in what Microsoft dubs "Mainstream," the second five as "Extended," which provides security-only updates – Office 2019 will get only seven years. 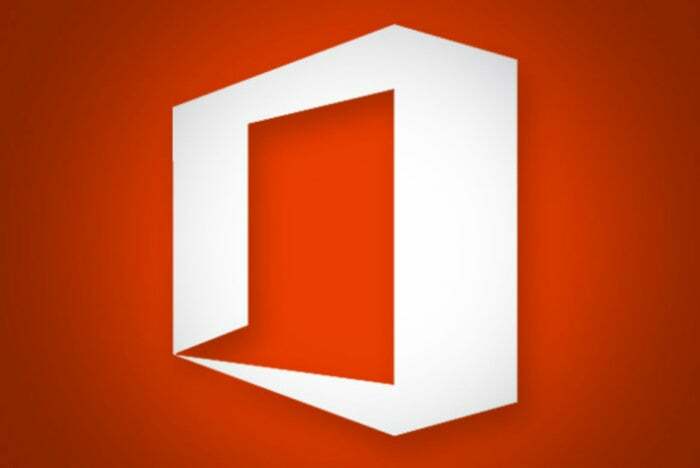 "Office 2019 will provide 5 years of mainstream support and approximately 2 years of extended support," said Spataro in the Feb. 1 announcement. "This is ... to align with the support period for Office 2016. Extended support will end 10/14/2025." That's the same day Office 2016's support expires. The simultaneous retirement of the two perpetually-licensed suites is the strongest signal yet that Microsoft plans to shut down the one-time purchase option after Office 2019. By shortening 2019's support lifespan – something Microsoft has <i>never</i> done to Office for Windows – it will be able to wash its hands of both suites at the same time, ending the decades-old purchasing option and making the subscription-based Office 365 the only way to license the applications. The late-2025 deadline will let Microsoft sell Office 2019 for years – during the Mainstream stretch, most likely – while hedging about a successor throughout. But it can still give enterprise customers a multi-year heads-up that it's the last of its kind (and that those customers need to move to subscriptions). Is it true that Office 2019 won't work on Windows 7? Or even Windows 8.1? Yes, that's true. Or maybe, no, it's not. Along with its announcement that Office 2019's support will run out after seven years, Microsoft also painted the system requirements with a broad brush. The requirements are substantially more restrictive than Office 2016's. According to Spataro's Feb. 1 post, Office 2019 will be supported only on Windows 10. No love for Windows 7 (which retires in January 2020, or a year-and-change after Office 2019's debut) or Windows 8.1 (January 2023, four years and more). Those two older OSes will have to be satisfied with Office 2016 (which, again, doesn't fall off support until October 2025). Spataro did not offer an explanation for the support limitation. Previously, like when Microsoft said that Office 2016 could not be used to connect to the company's own cloud services after Oct. 13, 2020, it's rationalized the decision by claiming that tying new (Office 2019 in this case) technologies to old (Windows 7 or Windows 8.1) resulted in substandard security and unimpressive features. From Microsoft's perspective, the same reasoning could be applied to this ruling. The cynical among us would instead see it as another push to move everyone onto Windows 10 ASAP by limiting the functionality of prior editions of Windows. But although Microsoft was crystal clear that it would not support Office 2019 on Windows 7 or 8.1, there's no guarantee that the suite won't necessarily run on devices powered by those operating systems. For all we know, Office 2019 may work, perhaps not perfectly, on the older OSes. Even if that were the case, however, Microsoft can easily bar Office security updates from reaching Windows 7 or 8.1 PCs. Historically, it has done exactly that, such as when it blocked Windows 7 systems from receiving Internet Explorer 8 (IE8) security updates after January 2016. Okay, so we'll just move our Windows 8.1 systems to Office 365 to get an upgraded Office. Right? When Microsoft means it won't support Office 2019, it really means it. Along with the no-Office-2019-support-on-Windows-8.1 rule, Microsoft also put the kibosh on Office 365 ProPlus for 8.1. "Effective January 14, 2020, ProPlus will no longer be supported on ... [Windows 8.1 and older]," said Microsoft's Spataro. "This will ensure that both Office and Windows receive regular, coordinated updates to provide the most secure environment with the latest capabilities." Blocking updates to Office 365 ProPlus on Windows 8.1 likely didn't make Microsoft blink; the operating system accounts for such a small slice of the overall Windows pie. In January, analytics vendor Net Applications pegged Windows 8's and 8.1's combined user share as about 7.6% of all Windows editions. And by the time January 2020 rolls around, Windows 8/8.1 should be under 5%, if the decline trend remains close to that of the last 12 months. This story, "FAQ: Office 2019 is coming; here's what you need to know" was originally published by Computerworld.